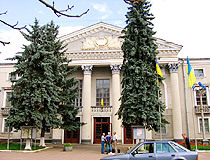 The city of Ivano-Frankivsk oblast. 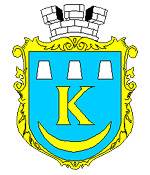 Kalush (also spelled Kalish) is a city located in Ivano-Frankivsk region of Ukraine, at the foothills of the Carpathian Mountains. It is standing on the left bank of the Lomnitsa River, in a picturesque part of the Carpathian area, 35 km from Ivano-Frankivsk, 130 km from Lviv, and 560 km from Kiev. The City Day is celebrated on the 3rd Saturday in September. Area code - +380 3472; postal codes - 77300-77309. Local time in Kalush city is April 21, 9:42 pm (+2 UTC). The first mentioning of the settlement was in 1437. That time it was called Halychyna. 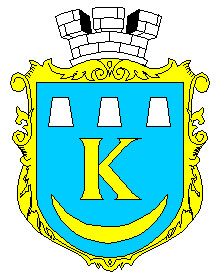 The town was a part of the Polish-Lithuanian state, the Austria-Hungary Empire and Poland. In 1940, after capturing the eastern part of Poland, the Soviets forcefully moved Polish people from the town to Siberia. 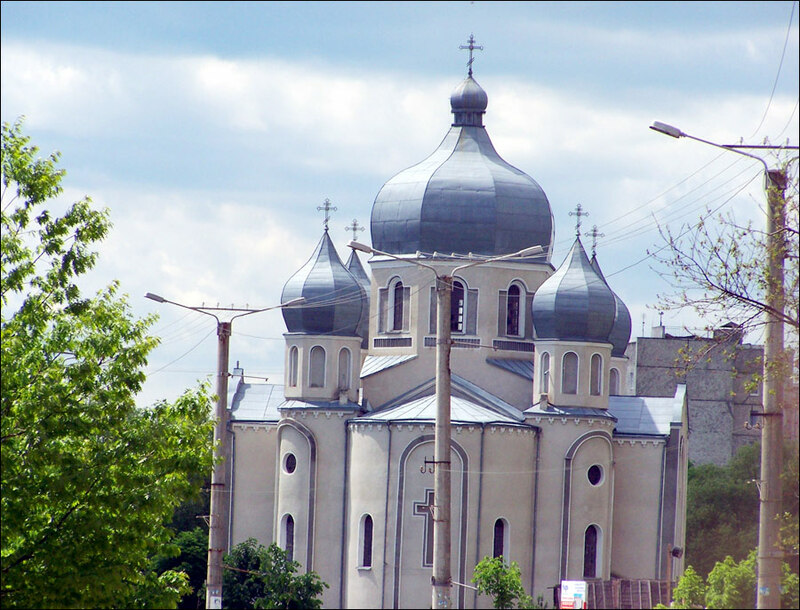 Kalush had large Jewish community from the 16th century until 1941, when Germans almost completely eliminated it. 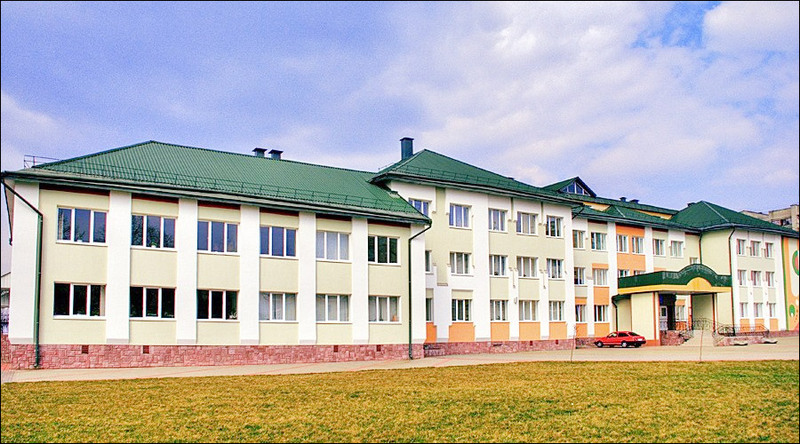 Nowadays, it is a large industrial and cultural center of Western Ukraine; 1/3 of all industrial product of the region is made here. Some unique output such as potassium mineral fertilizers, metallic magnesium, polyethylene is produced only here on the territory of Ukraine. 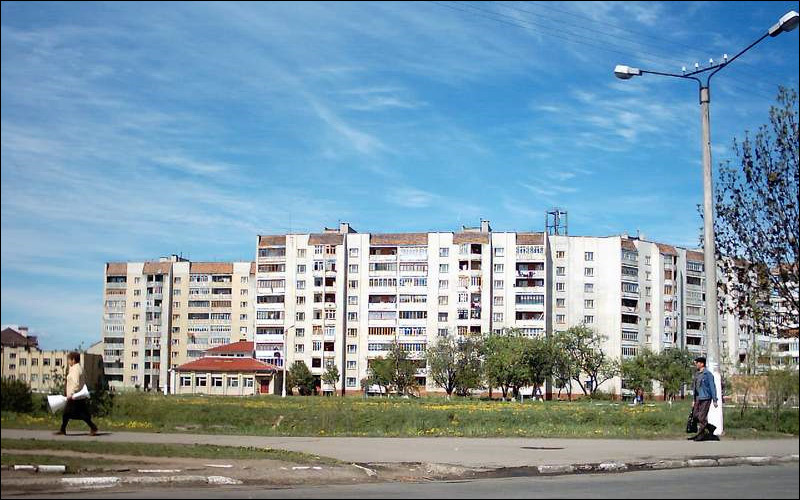 As a result of long work of potassium ore mining and processing plants in Kalush-Golinsky deposit, the environmental situation in the city is rather dangerous. The main environmental danger is caused by an intense sinking of land surface above mine excavations where 1,300 houses and 23 industrial constructions are located. On the territory of the city, there is a toxic waste depository - the only one in Europe - where 11,000,000 tons of hexachlorbenzene - highly dangerous substance - is kept. The integrity of this depository is damaged and as a result air, soil and water in the river Limnitsa (flowing into the Dniester) basin are polluted. 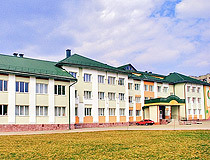 In February, 2010, the territory of Kalush and a number of nearby settlements were declared a zone of extraordinary environmental situation. In August, 2010, a state enterprise began taking poisonous chemicals out of the city to Poland for further utilization. The second hand market - the largest in Western Ukraine - is open here. 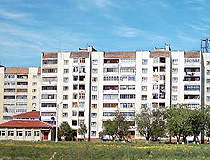 Convenient location of the city is one of its main advantages. 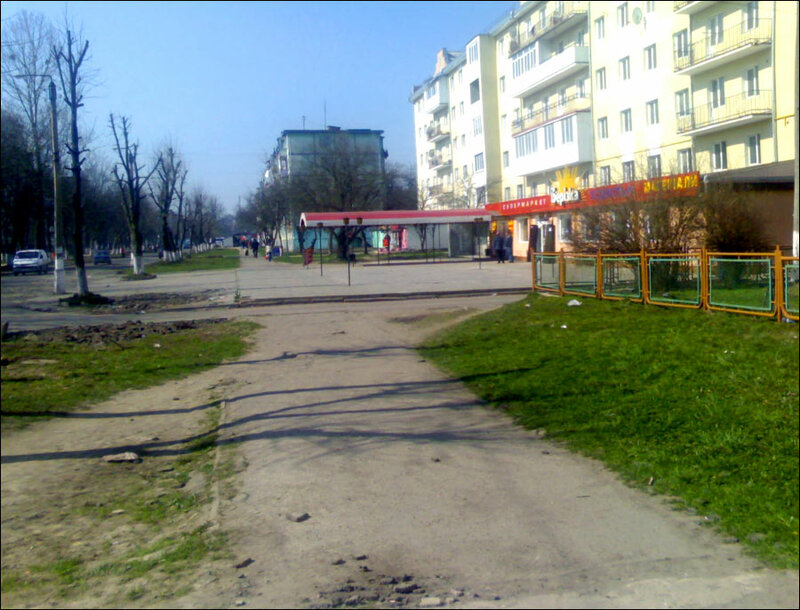 Thanks to well developed transportation net, the city is connected with Central and Eastern Europe via air, railway and highways. Boundaries with Poland, Hungary, Romania, and Slovakia are at the distance of about 300 km. 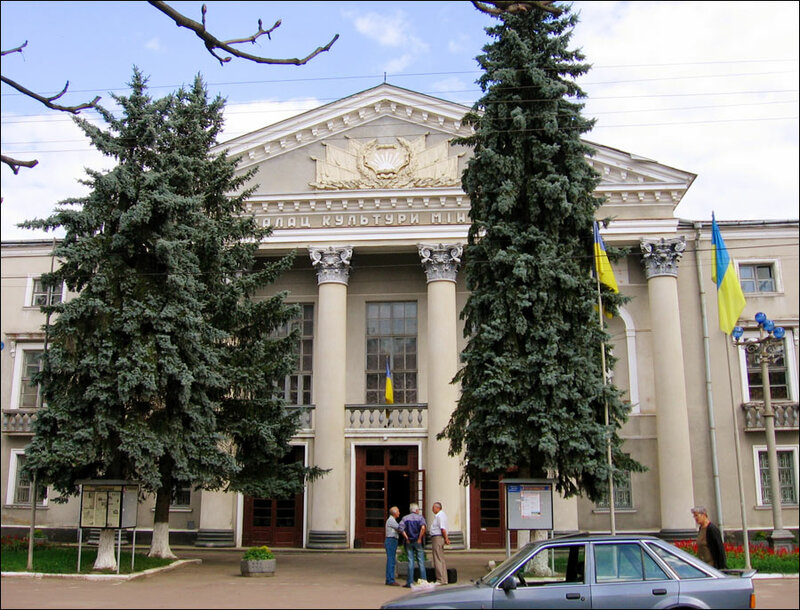 The territory of Kalush consists mainly of lowland which is surrounded by thick forests, 1/10 of the city itself is covered with forests. 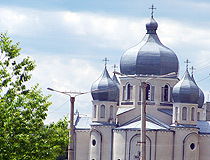 All Saints cathedral of the Ukrainian Orthodox Church, Kiev patriarchy.